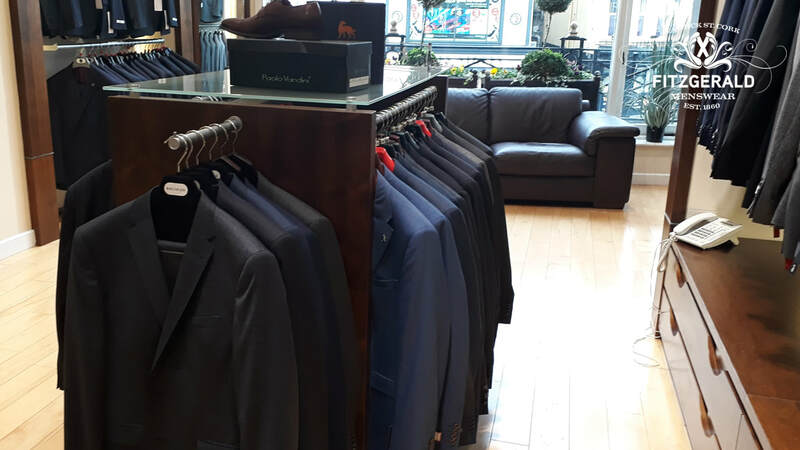 "With nearly 160 years of trading in Cork City, we are blessed to have provided fabulous clothing to all manner of corporate bodies for their varying business needs". From hotels to bars, funeral homes to solicitors, accountancy firms to other fellow independent retailers, we have styled many 1000s to ensure their business' clothing is as sharp as it is practicable and functional. From "off the shelf" by our many brands currently in-store, to fully bespoke tailored items, we can source and supply on a full procurement basis - either as a one off arrangement, or by continuing contract. With our years of expertise at your disposal, you are assured that your investment is one that is respected and you are given the attention to detail that you and your business deserve. For an informal initial outline discussion, without obligation, please do contact us by completing the enquiry form on this page. ​Alternatively, feel free to call us on 021 427 0095 to arrange a suitable time to meet us in-store.